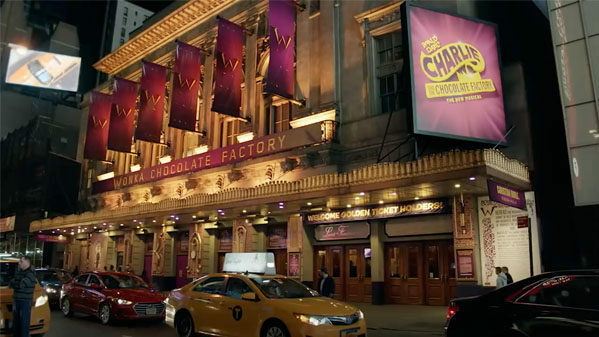 Charlie and the Chocolate Factory has launched their digital lottery, powered by Broadway Direct, today, August 11. A limited number of $40 tickets are now available for all performances. To enter the lottery, click here. The digital lottery will be open from 10:00 am – 2:00 pm for evening performances. For matinee performances, the digital lottery will open at 8:00 pm the night prior and close at 9:30 am on the day of the show. Winners will be notified by email shortly after each drawing and have 60 minutes to claim and pay for tickets online. Tickets can be picked up at the Lunt-Fontanne Theatre box office, 30 minutes prior to show time. Photo ID is required for pickup, seat locations and number of tickets awarded by the lottery are subject to availability. Maximum 2 tickets per entry. 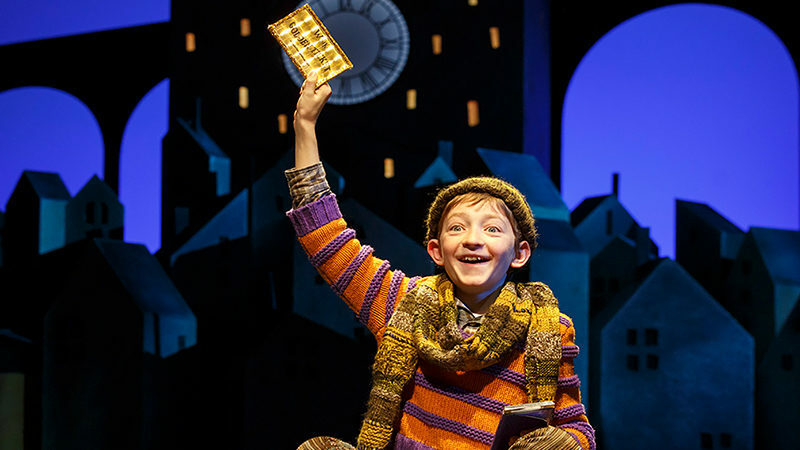 The company of Roald Dahl’s Charlie and the Chocolate Factory is led by two-time Tony Award winner Christian Borle (Willy Wonka) in a cast of 35 that includes Tony Award winner John Rubinstein as Grandpa Joe (Pippin), Emily Padgett as Mrs. Bucket (Side Show), Kathy Fitzgerald as Mrs. Gloop (9 to 5), F. Michael Haynie as Augustus Gloop (Wicked), Ben Crawford as Mr. Salt (Shrek), Emma Pfaeffle as Veruca Salt (Finding Neverland), Alan H. Green as Mr. Beauregarde (School of Rock), Trista Dollison as Violet Beauregarde (A Bronx Tale), Jackie Hoffman as Mrs. Teavee (On The Town), Michael Wartella as Mike Teavee (Tuck Everlasting) and introducing Jake Ryan Flynn, Ryan Foust and Ryan Sell making their Broadway debuts as Charlie Bucket, with Yesenia Ayala, Darius Barnes, Colin Bradbury, Jared Bradshaw, Ryan Breslin, Kristy Cates, Madeleine Doherty, Paloma Garcia-Lee, Stephanie Gibson, Talya Groves, Cory Lingner, Elliott Mattox, Monette McKay, Kyle Taylor Parker, Paul Slade Smith, Katie Webber, Stephen Carrasco, Robin Masella, Kristin Piro, Amy Quanbeck, Michael Williams, and Mikey Winslow. 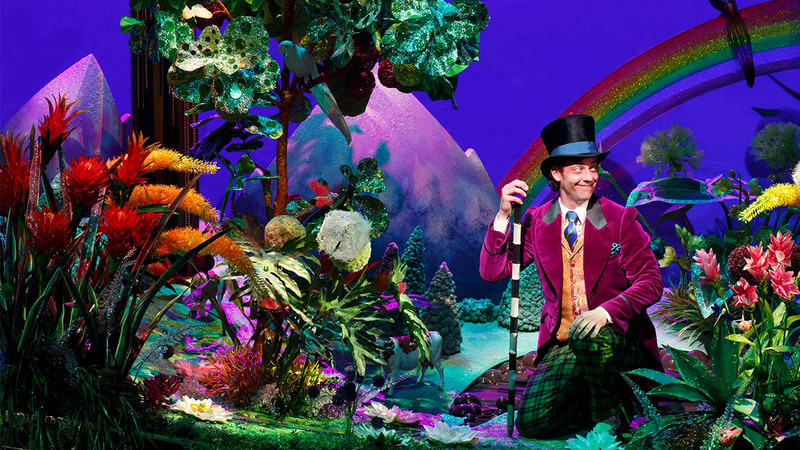 Roald Dahl’s Charlie and the Chocolate Factory features scenic and costume design by five-time Tony Award nominee Mark Thompson, lighting design by four-time Tony Award nominee Japhy Weideman, sound design by Andrew Keister, puppet and illusion design by Obie and Drama Desk Award winner Basil Twist, projection design by Jeff Sugg, special effects design by Jeremy Chernick, orchestrations by three-time Tony Award winner Doug Besterman and music direction and supervision by Nicholas Skilbeck.